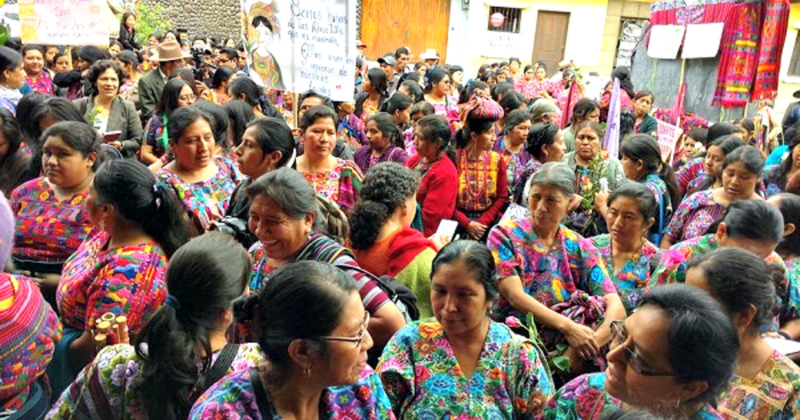 Hundreds of Maya Kaqchikel women of all ages—led by the Women’s Association for the Development of Sacatepéquez (AFEDES)—appeared before Guatemala’s Supreme Court in June 2016. Their demands: intellectual property rights to protect their ancestral designs and weavings. For centuries, Mayan artisans have woven their history and vision of the world in their intricate designs. International companies and fashion designers, who are increasingly seeing these sacred designs as “trendy,” have been appropriating them for their own profit—and without permission. 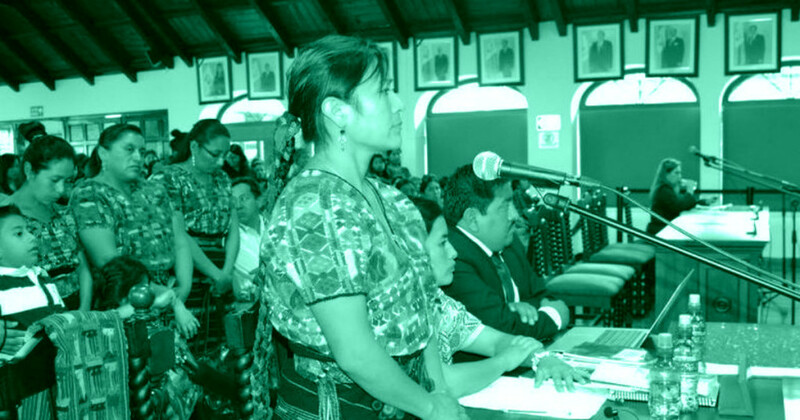 Angelina Aspuac, an organizer from AFEDES, says they are demanding “the Guatemalan state to create a legal framework for the recognition of intellectual property that belongs to indigenous people—and especially to recognize the collective and ancestral creativity of indigenous women weavers. AFEDES’ fight represents a growing movement of indigenous groups across the world who are standing up to the theft of their intellectual property. From Guatemala to New Zealand, communities are organizing and taking legal action. This isn’t the first time Mayan designs and weavings have been threatened. The art of traditional weaving was almost lost entirely during Guatemala’s 36-year long civil war. More than 200,000 people were killed or disappeared – about 83 percent of those killed were of Mayan ancestry. Following the Peace Accords in 1996, Guatemala’s indigenous communities began the long and arduous road to recuperate their identities. But decades later, they still face ongoing discrimination and marginalization. Despite Guatemala’s growing tourism culture, indigenous communities see little benefit. “And this isn’t only the government [appropriating our designs and textiles] but more so, the companies that make bags, shoes, and belts with our designs without respecting their significance in our communities,” says Angelina. AFEDES is spearheading the campaign because they want profits back where they belong: in the communities. But the issue goes beyond economics. They say the value of textiles is in protecting their culture and way of life. With support from Thousand Currents, a partner since 2004, AFEDES has long been providing workshops on textile production and weaving techniques. Women are involved in all stages of the process, from conception to design to governance and selling of their products. For AFEDES, the preservation of cultural knowledge and economic empowerment is deeply interwoven. AFEDES’ weaving program creates viable economic opportunities for many women. Impressive as the program is, it’s just one focus of AFEDES’ work. Women are also learning about their financial and political rights – and training to become community organizers. Together, they are passing legislation, which formally penalizes violence against women, and creating safe houses for survivors of domestic violence. That’s not all. They also carry out a program to revive ancestral (and sustainable) ways of agriculture to achieve real food security. Today, AFEDES works with over 1,000 women. “They’re constantly innovating,” Thousand Currents Executive Director Vini Bhansali says. With your support, Thousand Currents provides flexible, long-term grants to AFEDES. This type of nimble funding, put directly in the hands of grassroots groups like AFEDES, frees up local leaders to address the most pressing issues in their communities. Despite tremendous obstacles each and every day, AFEDES presses on and continues to make strides in their quest for justice. The women of AFEDES show us what’s possible when we root ourselves in the strength of our ancestors as we courageously create a more equitable future for the next generation.